Do not see any mention or press release, only our team photo. We'll edit and publish interview slightly later. Still absolutely nothing on Zoom sites. Oh wow! I'd heard the rumors this is coming. Was waiting for some proof. Apparently they've massively improved the headphone amp and are using look ahead limiters. The recorder is still a few months away ("July"), and details are not yet concrete (price is looking to be twelve hundred dollars). Yes, price is expected to be $1200. And your previous points are right. Nice, just not much new. Was nice to see he says it is only a half millisecond delay, so practically speaking nobody will notice it. But will help further improve the existing hybrid limiters by adding another layer of clip protection. There's a lot of hype around these zoom products, and much of that is deserved. They are cheap, well made, well thought out and reasonably durable. I bought the F8. It's got eight channels. The preamps are quiet, that's for sure. But the preamps on the Tascam sound better. There's no doubt about that. So there's a question here, do you want your music to be "quiet" or to sound good (and still be quiet enough...). Sure, I mean "sounds good to me." But I have seasoned ears. Beyond that, there is the extreme BS of "quiet" preamps and marketing. Most of the brands now don't make significant noise, and, even if they did, the noise is well below the noise floor of even a recording studio. So now we have to move beyond the "quiet" BS and say, hey, this is not worth mentioning. What is the SQ, like the IQ. Most of the brands now don't make significant noise, and, even if they did, the noise is well below the noise floor of even a recording studio. One thing to understand that studio noise is mostly not related with things you record, it is outside leaks or such. With preamps and ADC harmonics are usually always higher than noise. Yep, parameters can look a little bit overkill, but generally it is just properly made preamps paired with progress in ADCs. Also next step will be total presence of double-triple ADCs per each channel, as Zaxcom will stop holding progress. No one heard anything from Zoom at Cinegear I assume? Guess they were probably not even there. The final official launch of the F8n is only a handful days/weeks away now! A sub $1K recorder with automix? CRAZY!! Wonder what else from my hopes and dreams for the F8n will come true. Zoom F8 original is US$629, lowest price I've ever seen it go new: https://www.adorama.com/zozf8.html Clearing out stock before the new F8n arrives! 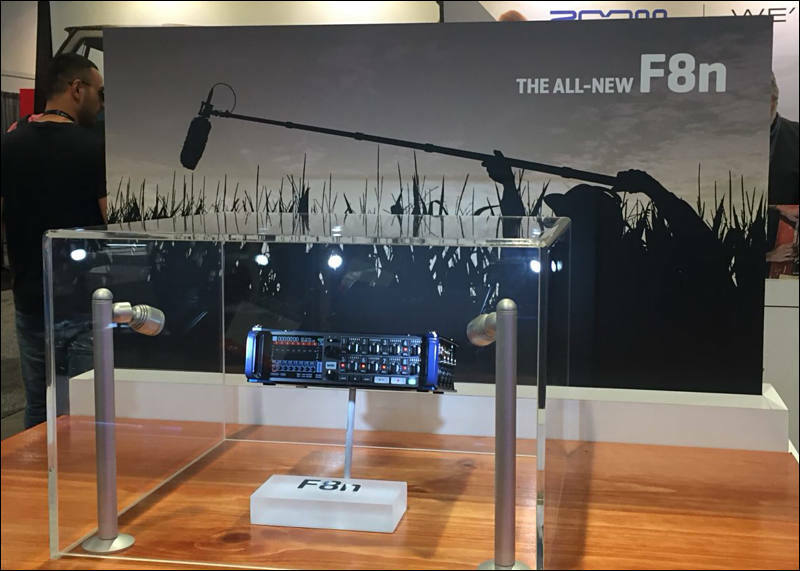 The Zoom F8n is now shipping. I've ordered one. 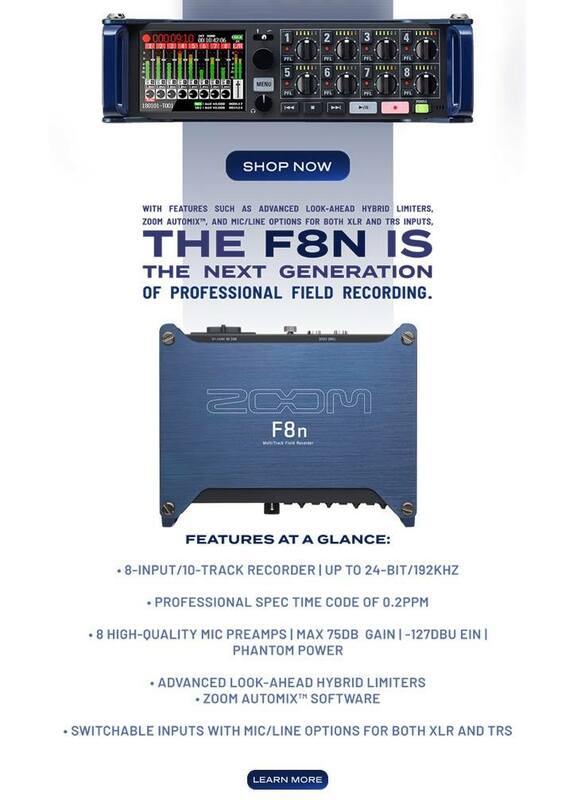 At the moment as of right now your best bet to get an F8n asap is to order from B&H, and is where I ordered mine from. And now I've got my shipping notification from B&H sent to me! That my F8n is on its way and I should have it here in New Zealand by early next month.